Starring: Mila Kunis, Kathryn Hahn, Kristen Bell, Christina Applegate, Jada Pinkett Smith, and more. 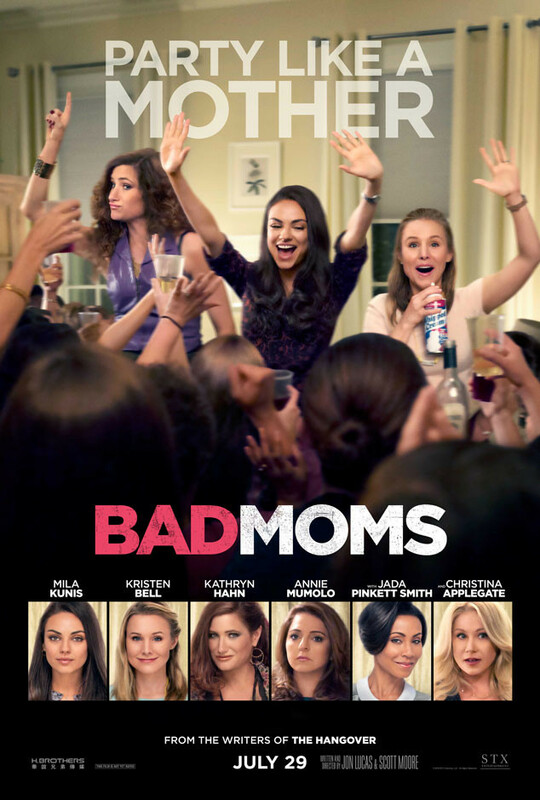 ‘Bad Moms’ begins with a particularly good mom in Amy Mitchell (Mila Kunis). She balances the 60 hour work day of being a full-time employee while also being a full-time mom within her 24 hour days. Although seemingly appearing to be the supermom, she never really gets the job all the way done and sees herself as a mom that comes up just short. After a day of nothing but bad outcomes and misfortune, Amy has enough of trying to live up to the image of being a mom with everything going right for herself and her family. She decides to live for herself and be wild and free but other moms refuse to let such blasphemy happen. One mom in particular, Gwendolyn James (Christina Applegate), has her eyes on Amy acting out and is set on setting her straight and not letting her be a bad influence on the community. Very very unsatisfying film. While it had plenty of moments of comedy that I did laugh at and a number of one liners that worked well. The whole thing fell flat for me. The story was absolutely laughable, and not in the positive way. The climax/feels moment made me feel absolutely nothing because it was stupid to begin with. The love interest of the movie is forced and could be done without entirely. Just almost every plot point was unrealistic and forgetful. To the critical mind, this film falls way short of being anything special. To the targeted demographic that the film focuses on, this film will be a sure fire box office hit to them. So unless you fall within the first bracket and are a film lover, this is an easy pass, ladies and gentleman.